With consumers facing more choices than ever before, one-size-fits-all campaigns are becoming less viable every day. Your customers want to be engaged on a personal level – which is impossible without a clear understanding of them. Segmentation helps companies organize their audience into smaller parts, allowing for more effective brand communication. Of the four types, Geographic Segmentation is probably the least talked about. It’s not quite as mainstream as Demographic Segmentation, and not as buzzy as Psychographic or Behavioral. But Geographic Segmentation is an immensely important marketing tool that helps brands solve real world problems. 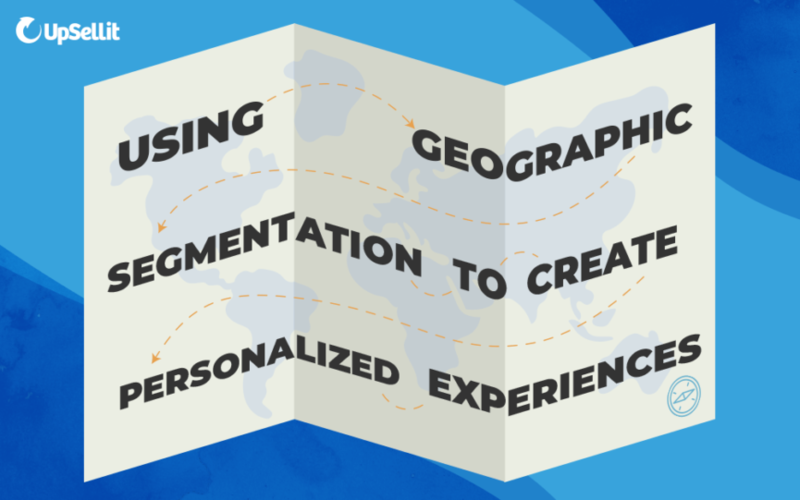 What exactly can Geographic Segmentation do for you? I’m so glad you asked. The U.S. has more foreign-born citizens than any other country in the world. Although English is the official language, a huge number of Americans don’t speak English at home. This number has been growing, and currently stands at about 22%. This means that if your ads are only available in English, you’re making it more difficult for people to understand your messaging. Demographic information on preferred language can be spotty. Fortunately for marketers, many non-English speakers are concentrated in particular areas of the country. For example, Los Angeles has more native Spanish speakers than English speakers. Obviously, a Spanish language ad-placement could be risky in some areas – but in a place like L.A., brands can delight and surprise non-English speakers in their preferred language. The same concept applies internationally. In places where a multitude of languages or dialects are spoken, messaging consumers in their own language is powerful – and makes it far more likely you’ll get your point across. Although we don’t often think about it, the weather plays a huge role in our day to day lives. Yesterday, my cozy corner of Southern California was a pleasant 72 degrees. Meanwhile, Presque Isle, Maine was a comparatively frigid 30 degrees. Clearly, many of the products you can effectively market in these two regions are different. Weather largely determines the clothes we wear, the foods we eat, and how we spend our time. For instance, in California, many apparel companies are already gearing up for summer. But that’s a harder sell in Maine; it’s difficult to sell board shorts to someone in a winter coat. Likewise, recreational activities are also hugely dependent on the weather. Whereas winter is seen as “primetime” for California surfing, much of the country isn’t going near water sports – with or without a wetsuit. In warmer climates, marketing for outdoor equipment can start much earlier than in colder ones. While March may be prime season for selling patio furniture on the west coast, there’s still snow on the ground in the northeast. By adjusting your marketing strategy to suit climate, you can engage customers more effectively and avoid spending money in markets where your product is less relevant. People in states like Texas, where Ford is dominant, have different needs than folks in California, where Honda is the number one seller. Gas prices, average commute length, and numerous other factors contribute to this. Even more broadly, needs vary immensely in Urban, Suburban, and Rural areas. These needs should be reflected in your marketing. For instance, imagine you sell lawn mowers. -In suburban areas, you may promote compact push mowers, since lawns tend to be of a manageable size. -In rural areas, you may promote large riding lawn mowers, since many rural plots stretch multiple acres. -In urban areas, you may promote industrial mowers to contractors, since most individual consumers live in apartment-style housing, without a lawn. Marketing a riding mower to Brooklynite apartment dweller would almost certainly be a waste of resources. The same is true of marketing a push-mower to a landowner with 15 acres of grass. By adapting your brand to suit the needs and tastes of people in different areas, you enhance your value prop and demonstrate how your product improves the daily lives of consumers. Ultimately, marketing seeks to establish a connection between brand and consumer. Marketing is most effective when consumers feel as though a brand “gets” them. Geographic segmentation optimizes campaign spending in two ways. By adapting messaging to regional audiences, brands can increase engagement, reduce waste, and improve brand perception.